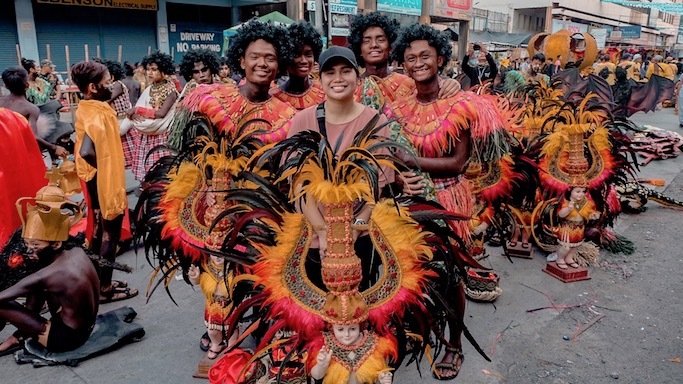 Iloilo Diaries Day 4: Dinagyang Festival! 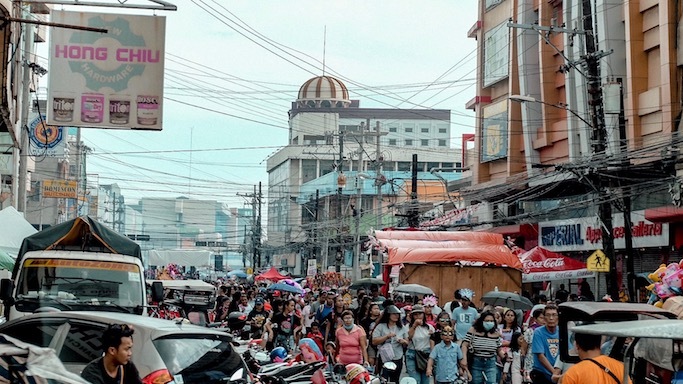 Finally down to my last post for my Iloilo Diaries blog series! 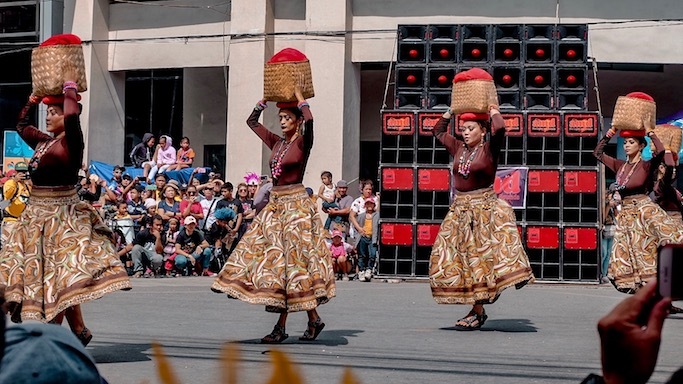 One of the first free travels I got invited to as a blogger is for the Panagbenga Festival, Baguio's beautiful flower fiesta. PLDT brought us to the summer capital so we can "live Tweet" during the parade and make their hashtag trend--Uso pa ang trending noon, hehehe! I learned that this festival was created to inspire the city to rise up after the huge earthquake of 1990. 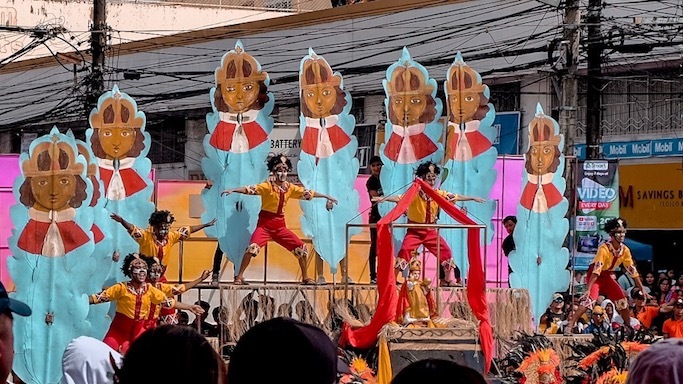 My second festival was the popular Sinulog of Cebu. I went there with Paxie for my birthday week so nag ikot din kami talaga ng Cebu noon. 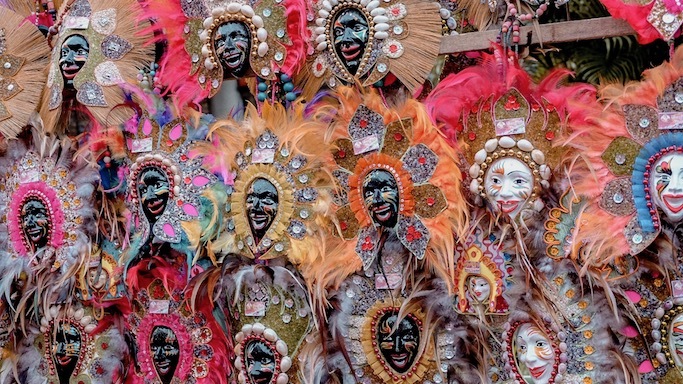 I can't think of another festival that is as most attended in our country as Sinulog! 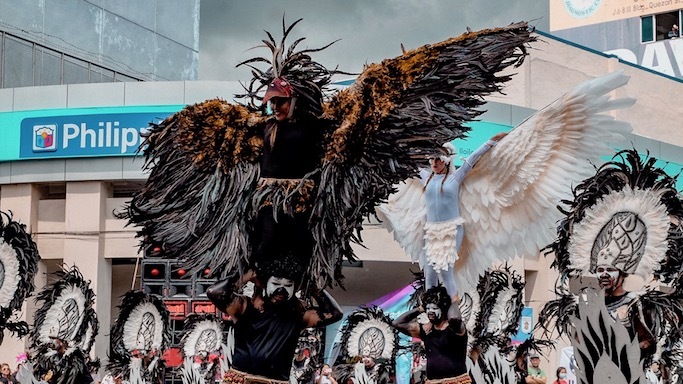 I heard that they are stricter now in holding branded parties for this festival, which I think is for the best since the true meaning of Sinulog became blurry the past years. 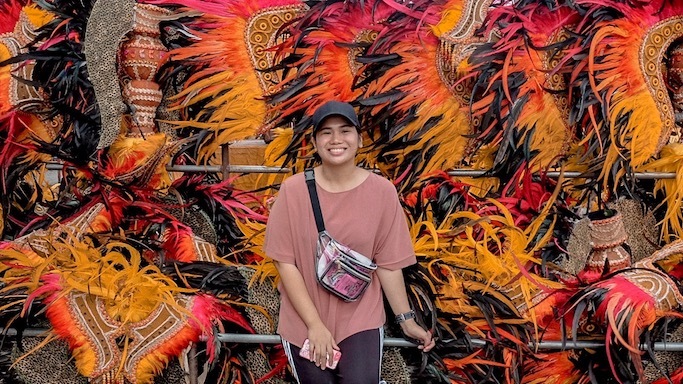 I also had a brief Masskara moment in Bacolod for a 2Go event, but it was just a quick stopover since we were on a cruise and had to go back to the boat when the night fell. 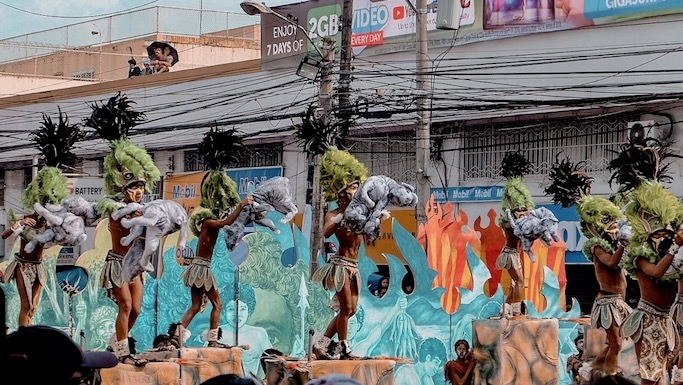 We also have Pintados, Moriones, Pahiyas, Ati-Atihan, Kadayawan, at madami pang iba! 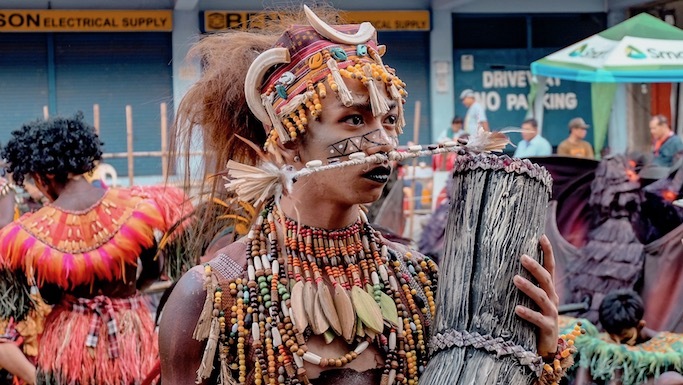 The Philippines hold so much festivals that it's hard to keep track how many we have in total. I think it's a cool thing, I really hope to experience more of them now that I realized that these events are very meaningful as a Filipino. 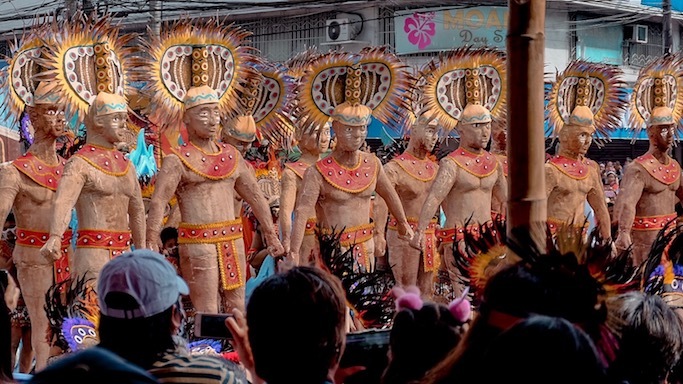 A few weeks ago, I went to Iloilo for the Dinagyang Festival, it was my first time. 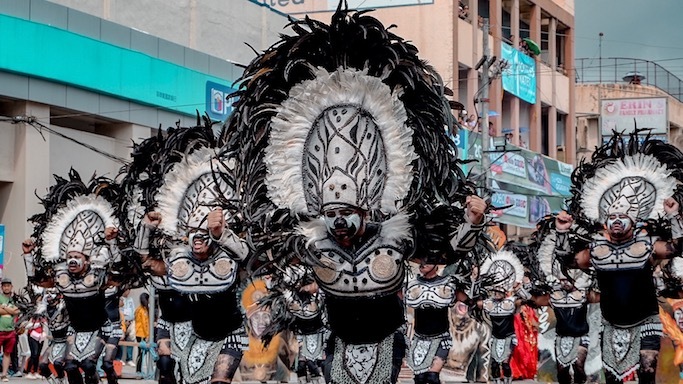 They say that the Dinagyang is the most popular festival that we have, it was even awarded as the Philippines' best tourism event 3x!! 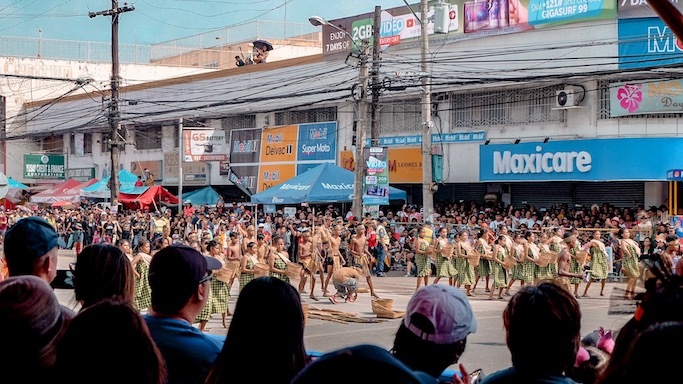 I already enjoyed our first three days in Iloilo, but the Dinagyang Festival 2019 Dagyang Dance Tribe Competition is the definitely the meat of this trip! Borrowed the headdress from Injap Tower Hotel for photo ops, hehehe. Sobrang bigat niya that I had to stand next to the tree para may patungan sha! Sadly, Seph and Trice got sick that morning so it was just me, Marcelo, Brian, and Bennix who went to the dance tribe competition. I was supposed to wear a dress but changed into a more rugged outfits when I thought of the long walks and crowds like what I experienced from Baguio and Cebu's main festival day, but surprisingly everything went smoothly. We walked from the start of the road block to our assigned station for the show. 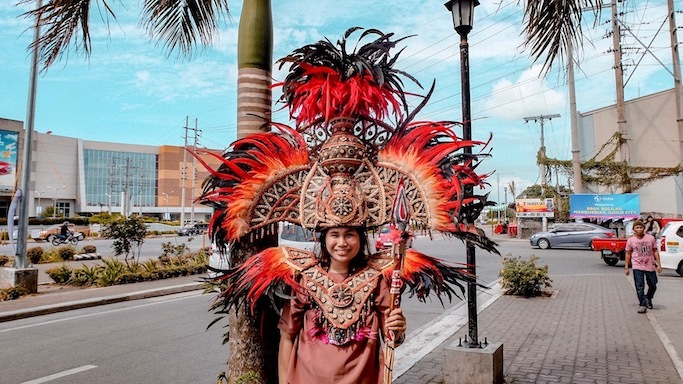 On our way, I passed by street vendors selling all sorts of festival props like colorful headgears, necklaces, Dinagyang shirts, and ear cuffs ala Miss Universe Catriona--but with feathers and beads instead of stars. Since we were early for the show, we walked along the street where the performers were preparing, waiting, or just sleeping. It was an early Sunday morning nga naman! 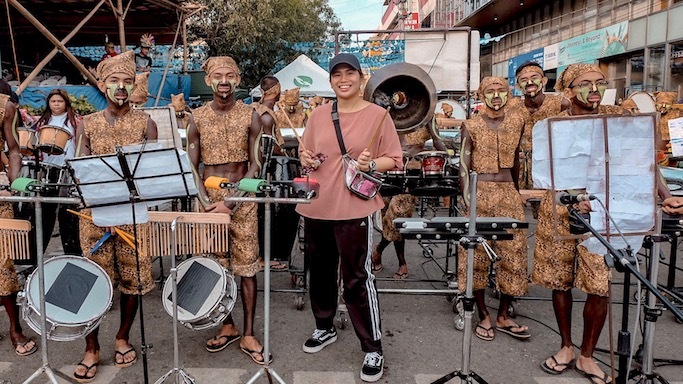 You'll be surprised kung gaano sila kahataw when they were performing though! Kaya pala nagamit ang salitang HALA BIRA sa daily hustle in life hehehe. But it's nice when you think about it, that they are giving their all for their group, for the country, and for the Lord! 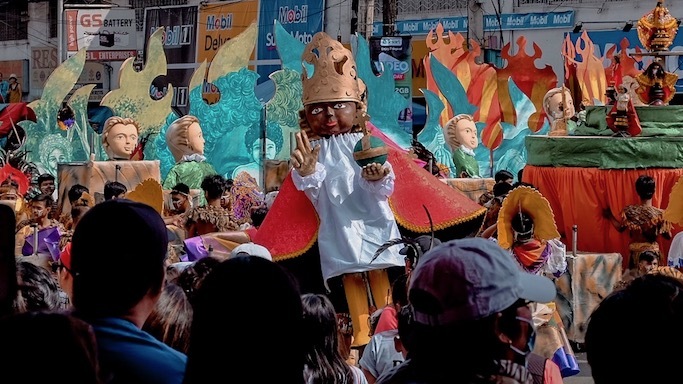 Why do Filipinos celebrate festivals? 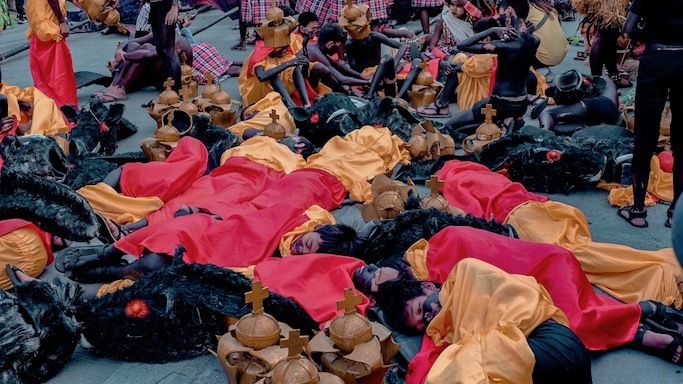 They say that these events were ingrained in our country's rich culture and traditions way back even before the Spaniards' arrival. 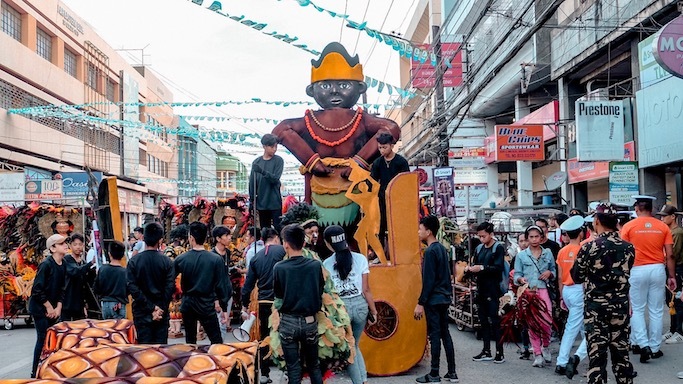 Most of the Philippine festivals are religious celebrations honoring the city's patron saint--usually to express their gratitude for good harvest through parades, novenas, dances, and other shows. 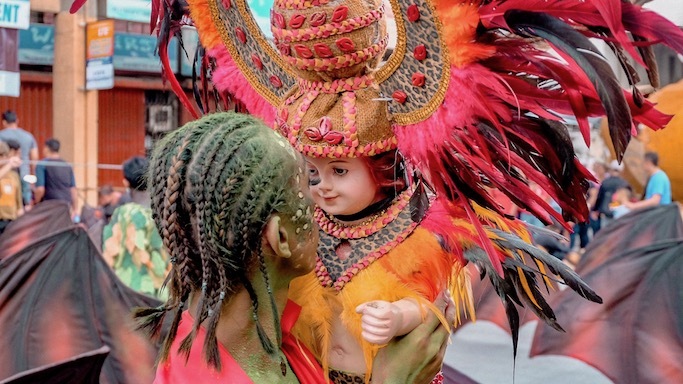 These traditions have been passed on from generation to generation. They say that the bigger and more all out you go during these fiestas, the more blessings will overflow back to the community. In short, festivals reflect the Filipinos' strong faith and our good relationship with our family and community. Sharing photos I took during the 3-5 performances we were able to catch. 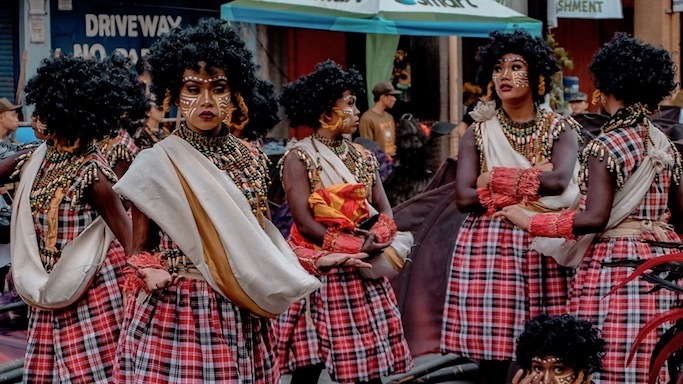 We had our favorite teams, but we all agreed that the non-competing ethnic tribe that performed that morning was very touching and memorable! Other than that, you'll love all the colors and textures from every performer. 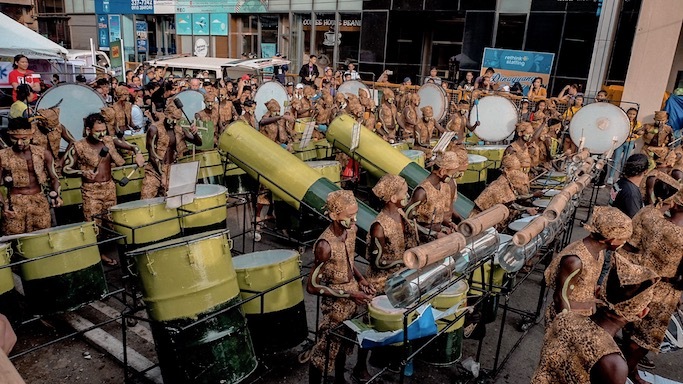 The huge crowd cheering, the wild costumes and props, the drum beats intense, ang sarap sarap nila panoorin! Sadly, it was also our last day and had to leave without finishing all the performances. 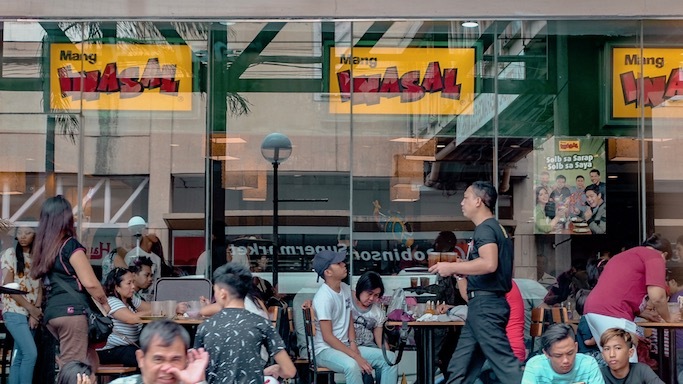 We had to go to the airport for our 4pm flight, but not after having our lunch at the very first Mang Inasal! I have to say that I learned so much from this trip. 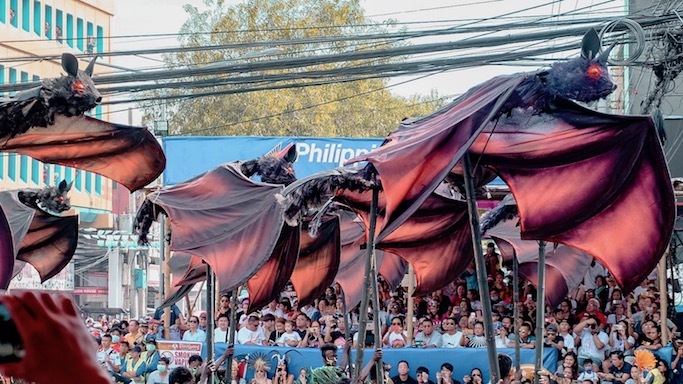 There are tiny tidbits like festival facts and Iloilo's must-visit sites that I blogged about in my last four posts. 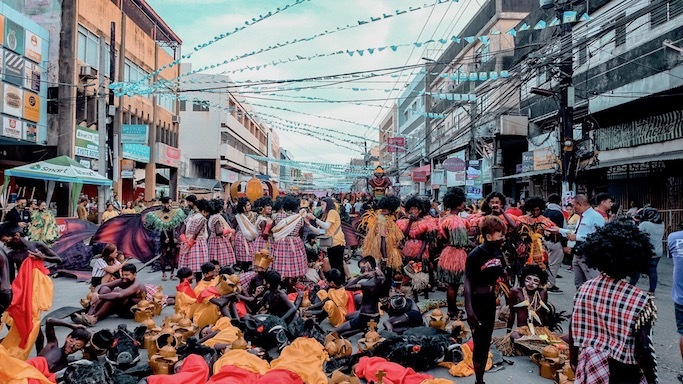 But there are also these life upgrades and encouragements that I received through the people I was with, and a renewed sense of Filipino pride through Dinagyang's very colorful festival. 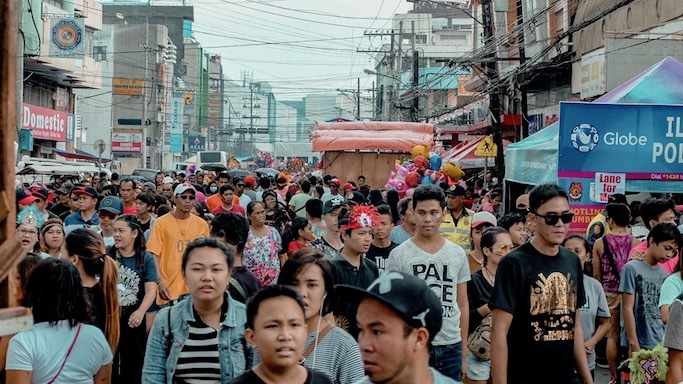 Ang sarap isipin na here is what we offer to the world as Filipinos. I hope you get to experience these too! Again, going to Iloilo clueless about the city worked in my favor. I arrived with no expectations, and left with so much memories and stories to tell. 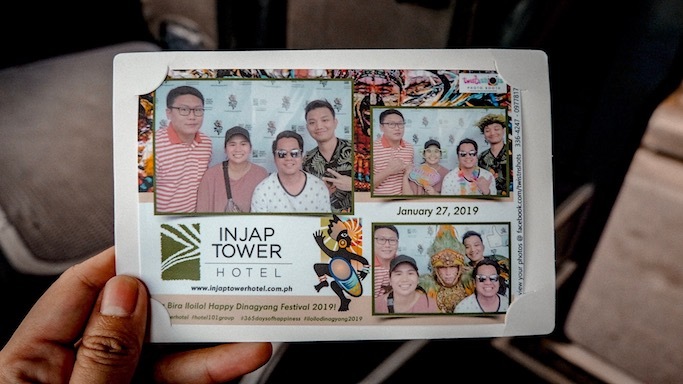 Thank you again and again Injap Tower Hotel for having me! I am glad to have started my 2019 travels in the City of Love and with you guys na sobrang good vibes lang palagi! Bihira na a travel FB messenger group is still active even weeks after the trip--so aside from the experiences, I am most grateful for new friendships because of this. To #365DaysOfHappiness!